OLD PARKED CARS. 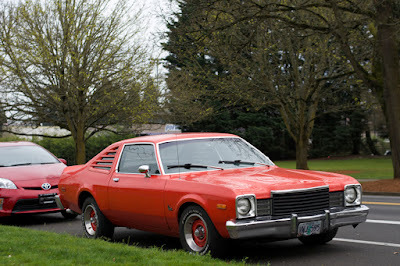 : 1976 Plymouth Volare Road Runner Edition. 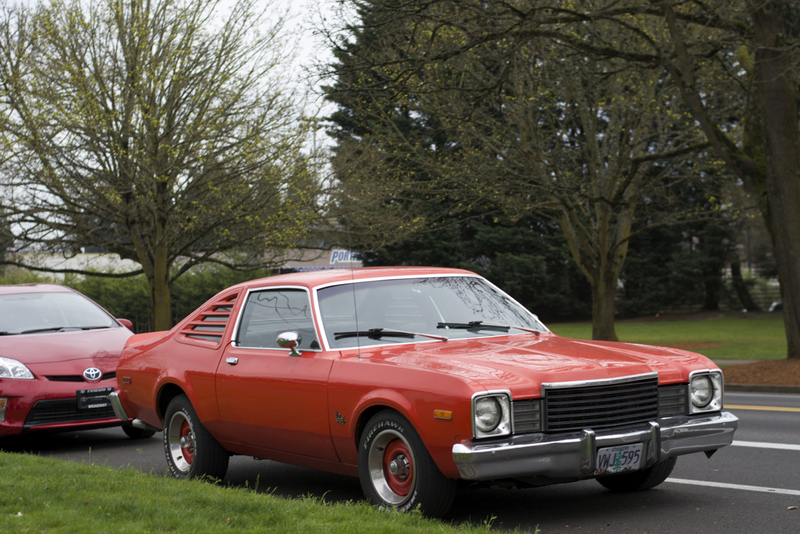 1976 Plymouth Volare Road Runner Edition. Great shots of a fantastic specimen. You just don't see these things anymore. I never thought I would ever say that an Aspen/Volare looks cool. Is that a real Volare RR or a clone? V badass. 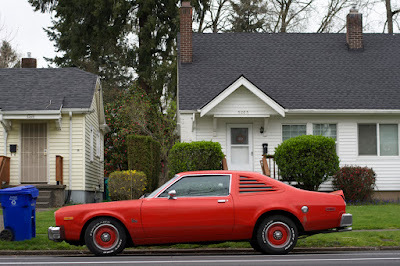 I'm not much of a Mopar guy but the Volare/Aspen was a good, honest car. Seriously amazing. Freaking love it. Mmmmmm, sweet malaise faux muscle. Love it. My dad had one when I was a little kid! The horn went "Meep Meep" and the interior was white with amazing black graphics and the roadrunner logo on the outside. It was red/orange like the one pictured here! What fun memories! This one is missing all the decals, otherwise it's an amazing find! My dad always told me that the V8 inside was really a joke though. He said the fuel restrictions were setting in and that the car only made 130hp or something ridiculous. The 318 was standard, but lurking on the option list was the E-58 option 360 4v engine which made this a pretty quick car for it's day. You could get E 58 in any Aspen/Volare coupe which made for a nice sleeper for picking off Trans Ams and Z-28s, at least post 1974 models anyway. It's too bad these cars had so many issues they were actually pretty nice to drive....such was life in the 70s, disco and rusty fenders. Aspen Super Coupes were another unlikely cool car. As mentioned above, you could get a 4v 360. It looks very clean and nice, hard to believe these are usually so ugly. 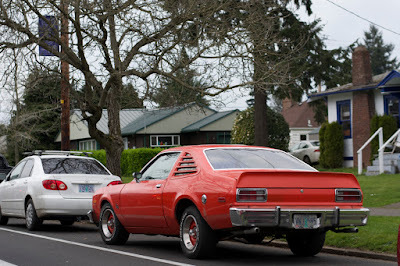 I will NEVER advocate the restomod style, but the Aspen/Volare, Hornet AMX, etc... seem way more appropriate to drop a modern hi-performance mill into than the real deal muscle era machines. you could even do it period-correct and get a pre-emissions, pre-oil crisis, pre-malaise drivetrain for authenticity's sake. good lord what a thing. such an old parked car.